Zone3 is the number one British triathlon brand which is now sold in 15 countries around the world. 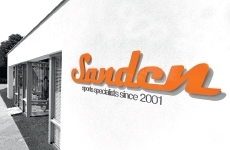 Since launch in 2007 the brand has developed an unparalleled reputation for producing high quality, performance products at an affordable price. Whether you are an elite leading out the field or training for your first triathlon, Zone3 has the formula to get you the best results. Here at Zone3 we don't just import and sell, we research, develop and design every minor detail to make the best possible product. This has always been the number one priority for Zone3, the product always comes first before any other business matters. We don't just rely on lab testing and sports technology but we also more importantly listen to every single customer and get first hand feedback from the countless number of open water or tri club demo sessions which we hold. We truly believe that this is the secret of our success. It gives us great pleasure to present the 2013 range so please feel free to have a browse through the site, read the reviews and most of all keep up the hard work! Where has Zone3 come from? Zone3 was started at Loughborough University in 2007 by Elite Triathlete James Lock to help support his triathlon career. A swim specialist, James has been Amateur World Aquathlon and Biathlete Champion and continues to lead the swim section of a number of high profile elite races. This in-depth knowledge of the sport, combined with years of research at Loughborough, has enabled the development of some of the highest performance products available on the market. There have been so many athletes involved with the development of the brand, that we have total confidence in every single product. We knew we were on the right track when in our first year the Vanquish wetsuit got a 9/10 review in 220 Triathlon magazine. 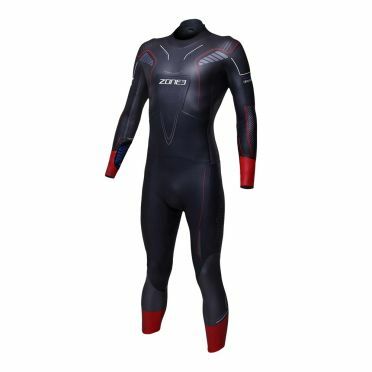 Subsequently, in 2010 the Aspire wetsuit got a 10/10 review; the only wetsuit to ever receive full marks! Since then, we've continued to keep to the key principles which make Zone3 products so good, but each year have added new cutting-edge features and graphics to further improve the styles, whilst still keeping an affordable price tag. 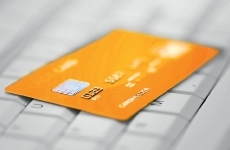 Zone3 is a company which has grown organically. Although we have enjoyed back-to-back sell out years nothing has happened too quickly, which we believe to be the best way for success. However, since 2010 our cult following started to turn more main stream and we have since formed partnerships with high profile retailers to start distributing the brand across the UK and Europe. We could not be happier with how well the brand has progressed and now, similarly as when training to be a triathlete, we're starting to get the results after years of hard work and attention to detail. 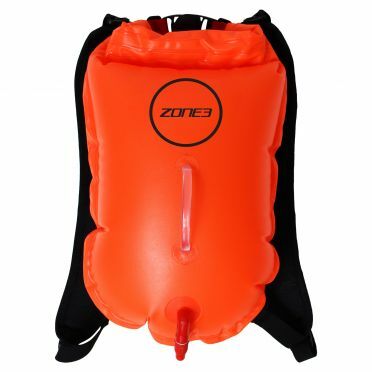 The Zone3 Swimrun backpack buoy orange is the perfect product for those wanting to train for or take part in Swim-Run events or those travellingand wanted to cut down on kit when open water swimming. It’s the same 28L version as Zone3’sregular Dry Bag Safety Buoy but with shoulder backpack straps glue bonded on and a chest strap for a secure fit. This brightly coloured inflatable dry bag is ideal for storing your kit whilst you swim andto use as an inflatable buoy for increased visibility in open water. Since its launch the product has received a high number of fantastic customers’ reviews and has become very popular among open water swimmers all over the world. 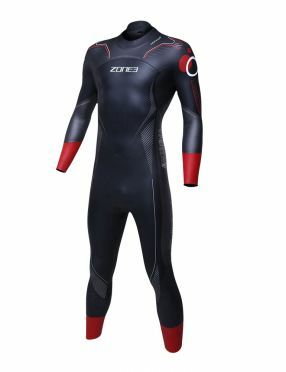 The Zone3 Neoprene jammer men is an exciting new product by Zone3 to compliment the buoyancy shorts range. 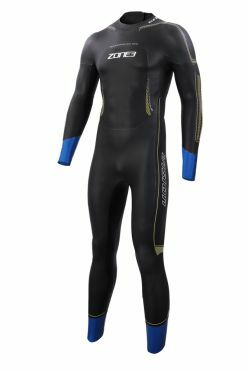 Made from a high quality Yamamoto 1.5mm neoprene with Super-Stretch lining, this technical garment can offer buoyancy, speed through the water and additional warmth. 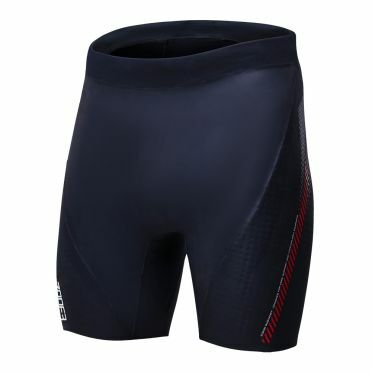 It doesn’t offer anywhere near as much buoyancy as the 5:3mm thick buoyancy shorts but are a lot more subtle and can be worn under or over swimwear for the whole swim session where as Buoyancy Shorts are only intended for particularly sets. 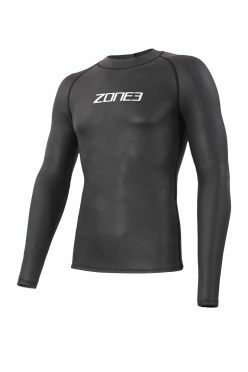 The Zone3 Neoprene long sleeve baselayer provides a fantastic layer of extra warmth and insulation when swimming outdoors or doing other watersports. Having tested many of the existing products on the market Zone3 felt that it was necessary to add the back zip otherwise it’s almost impossible to take this close-fitting style top off. 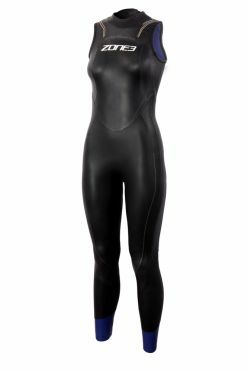 The base layer is made from Yamamoto Smoothskin neoprene with a 1.5mm thickness which offers a high level of flexibility and movement. The top is designed with a lower cut hem and has an internal smoothskin finish which helps to keep the base layer in place and the high neck helps provide extra warmth whilst still being very comfortable. The zip is made by world leading manufacturer YKK and the product is designed to be put on normally but then taken off through the legs. 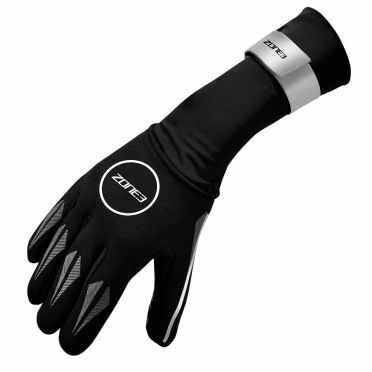 The primary function of the Zone3 Neoprene Swim gloves black/red is to keep your hands insulated from the cold. The body’s extremities such as hands and feet always feel the cold the most so these gloves are designed to allow swimming in cold water be more manageable. After testing most swimming gloves on the market Zone3 found that they nearly all started ballooning with water during swimming and started to slip off the hands. A design solution was found by increasing the length of the gloves, so they can be tucked over or under the wetsuit to ensure no exposed skin and also adding a Velcro strap to keep the glove in place. 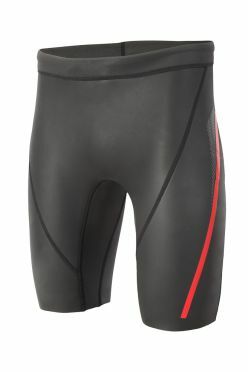 As with the Originals buoyancy shorts these The Zone3 Neoprene kickpants 5/3mm have 3mm Yamamoto smoothskin down the centre with 5mm on the sides. The 3mm provides the additional buoyancy whilst the 5mm side panels complement this by promoting hip rotation through each stroke. The Kickpants go a step further than the shorts and offer full leg buoyancy. 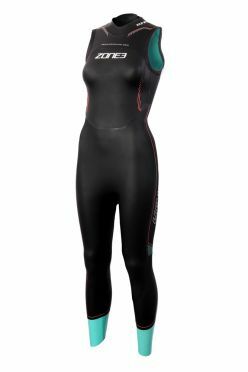 They are made from top quality Yamamoto smoothskin neoprene and are stitched and bonded just the same as a triathlon wetsuit. 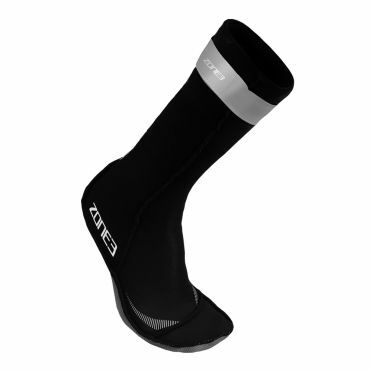 These Zone3 Neoprene swim socks reflective silver are seen as an essential product to keep your feet and toes warm and protected whilst swimming in cold water. 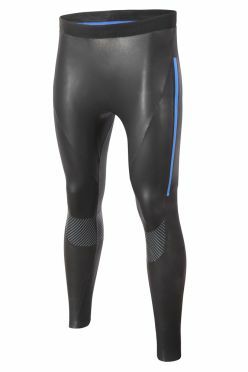 They are designed to be tight fitting to ensure minimal water entry and also to help maintain a strong leg-kick whilst swimming. After testing most other socks on the market, Zone3 found that many filled with water and easily slipped off the foot when being used. A design solution was found by increasing the length of the sock, so it could be tucked into the wetsuit to ensure no exposed skin and also adding a Velcro strap around the top to keep the sock in place. 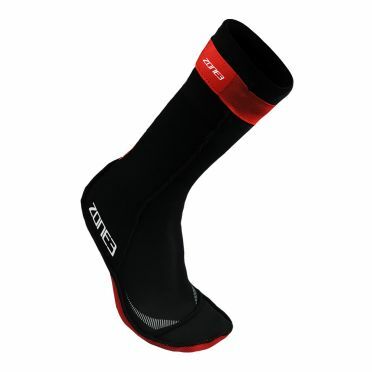 These Zone3 Neoprene swim socks black/red are seen as an essential product to keep your feet and toes warm and protected whilst swimming in cold water. They are designed to be tight fitting to ensure minimal water entry and also to help maintain a strong leg-kick whilst swimming. After testing most other socks on the market, Zone3 found that many filled with water and easily slipped off the foot when being used. A design solution was found by increasing the length of the sock, so it could be tucked into the wetsuit to ensure no exposed skin and also adding a Velcro strap around the top to keep the sock in place. 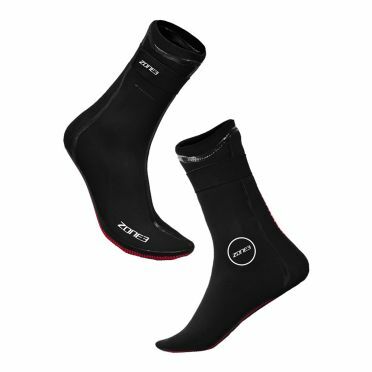 These innovative Zone3 Neoprene heat-tech swim socks are some of the warmest available on the market, perfect for those who suffer from cold feet or swim through the spring, autumn or winter. These booties are 3.5mm so slightly thicker than Zone3’s standard socks and come complete with a titanium lining to reflect the body's heat and improve warmth. They are made from high-stretch material to ensure a great fit and flexibility during the swim. The seams are glued, double-blind stitched and then liquid-sealed on the external side to help ensure they are watertight and durable. 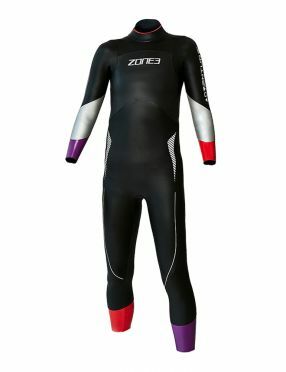 The Zone3 Adventure kids wetsuit is designed with a lot of the features used in the adult collection but with some slight changes to make them more specific for age range. Having attended a number of children's triathlon events over the last few years, Zone3 were extremely impressed to see how many under 16's were taking part and how much effort was being made by the participants. There is no doubt that some extremely quick triathletes will be coming through in the next ten years. Year on year the Zone3 Aspire sleeve less wetsuit women builds on itsworld renowned reputation. It continues to collect accolades from the Triathlon industry, having scored an impressive 10 out of 10 rating in both Triathlete Europe and 220 Magazine in its early years and more recently a 95% rating and the prestigious BEST BUY award. The Aspire is constantly given praise for its great fit, remarkable flexibility around the shoulders, carefully balanced buoyancy and rapid removal. The Zone3 The next step neoprene buoyancy shorts 5/3mm is perfect progression from our Originals buoyancy short, designed for those looking to take their swimming to the next level. The reduced emphasis on buoyancy and core support enables the swimmer to continue to develop their technique and efficiency with slightly less dependency. They are made from the same Yamamoto Smoothskin neoprene with stitched and bonded seams as a wetsuit. 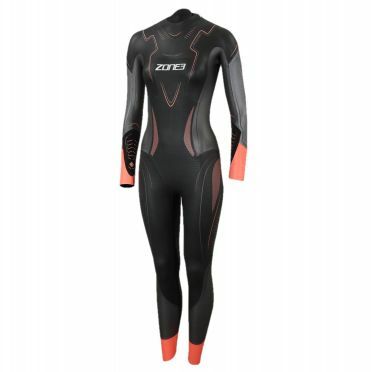 The Zone3 Vision sleeve less wetsuit women is a very exciting product in the Zone3 range. Performance and comfort have always been top of the list for Zone3 and this combines these with fantastic looks and value. For this year we took inspiration from the top of the range Vanquish, translating some key features which made the suit so successful to create the world’s fastest entry level wetsuit, the Vision. If you’re on a budget but still want to swim quickly and save energy during the swim then this is the suit for you. 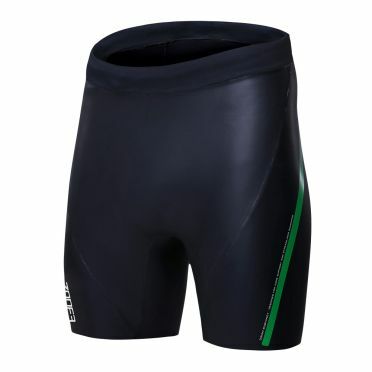 Zone3 Premium neoprene buoyancy shorts 5/3mm - The Buoyancy Shorts were first developed by Zone3 back in 2008. The original invention of this product was made using a 5:3mm thickness smoothskin material but due to their overwhelming popularity, Zone3 have now released a more buoyant and lower drag focused design called . The shorts are made from a combination of 3mm Yamamoto #39 SCS on the front and back panels and 5mm Yamamoto SCS Aerodome on the side panels which offers 30% more buoyancy than standard neoprene.